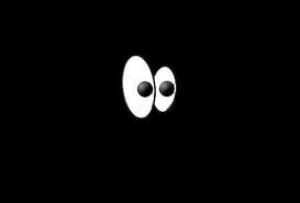 On May 3, 2011, HG Logistics LLC experienced our first blackout since the big wind storm of September 2008. However, in this case, wind was not the culprit but a 20′ dump truck. A dump truck delivering sand to the plant next door to us forgot to lower his bed as he was exiting our street. His bed caught hold of the telephone and electrical wires and pulled them down from the side of our building along with some bricks and part of the roof. So there we all sat at 7:45 a.m. ready to put in our 8 hours of dedicated time and service and we had no power. In addition, we were told by Duke Energy that it would be at least two days before they could have us operating again. What do you do in the dark with no electricity, no computers and no phones? I know what you are thinking–they sent us all home. No, not here at HG Logistics LLC. What we do in the dark is rearrange the office. We powered up some flashlights and started moving desks, file cabinets, and cubicle walls. At noon, we took a short break and ate lunch by candlelight. We then spent the rest of the afternoon putting all the little things back in place. What we thought was going to be an unproductive day turned out to be just the opposite. About 3:45 p.m. we were back up and running with the help of an industrial size generator. After spending a few moments admiring what we accomplished in the dark, we scurried to our computers to get done what we could before having to leave for the day. Being in the dark definitely provoked some serious thinking on my part especially since society as a whole has become so accustomed to quick access to everything–data, information, people, etc. When we lose that power to do so, it is quite an adjustment and recognizably raises the frustration level in all of us. However, I come away from this whole experience reassured that not all is lost in the dark. After all, HG Logistics is living proof that you can accomplish something when the lights go out.